Doc Martens....my daughters, wish they were mine ! 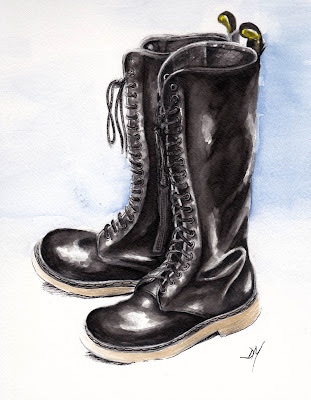 Those are cool boots, great drawing!!! I wish they were mine too. Lovely drawing.